Jharkhand Polytechnic 2019 application Form: JCECB (Jharkhand Joint Entrance Competition Examination Board) is responsible for organizing the PECE (Polytechnic Admission Competitive Examination). 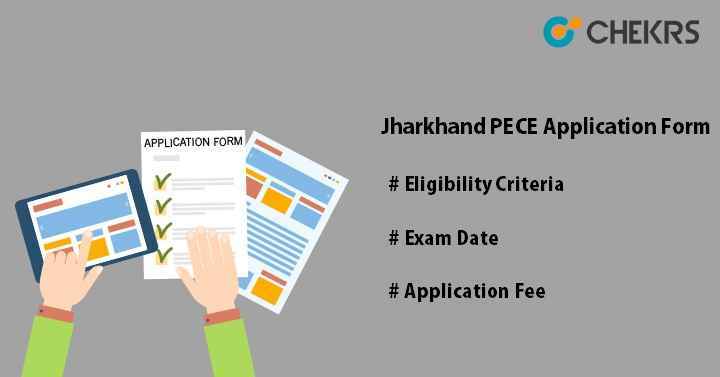 PECE 2019 is a state-level polytechnic entrance examination for admission in state government and private polytechnic colleges of Jharkhand. Every year, thousands of applicants apply for PECE Application Form. This entrance exam offers admission to various polytechnic diploma courses. JCECEB will invite the notification for online process to fill the application form in the month of March. Candidates can fill the form through online mode only. Applicants can see details about exam dates, application form, admit card, eligibility criteria and cut off in this article. PECE 2019 exam dates are not announced yet. Here we have mentioned the expected exam schedule of JCECEB PECE. The application fee or can say examination fee can be deposited through online mode only. PECE Application Fee will be different for each category. Check the table given below for application fee. Here we are providing JCECEB PECE Eligibility Criteria. Candidates must check before applying for the PCECE 2019 Application Form. Candidates must have passed 10 or equivalent examination from any recognized board with minimum 35% aggregate in marks. Applicants appearing for class 10 or equivalent examination can also apply. But they have to qualify the exam before counselling starts. Applicants should be at least 17 years at the time of admission as on 01.07.2019 for diploma in mining engineering programme. There is no age limit to apply for any other course. Candidates must be bonafide resident of Jharkhand state. Applicants should have Aadhar card to apply for JCECE 2019. Following are the steps to fill the Online PECE Application Form 2019. Read the instructions carefully and then click on “Click here for Proceed” button. Fill the required details like personal details, educational qualification & address. Choose course and exam/ test center. After filling the form, click on ‘submit’ button to submit it. Check the form before final submission and then click on “Final Submit” button. After submitting the form successfully, an application no will generate, note down it for future use. Upload scanned recent photograph, signature & left-hand thumb impression in the given box or area. Images should be uploaded in format prescribed by the JCECEB authority. Upload the scanned images in a given file size. Click on “Proceed to Payment” and then pay the application fee through online payment method such as Credit card/ Debit card/ Net Banking.